Sustainability is a work philosophy that involves three central objectives: profitability, caring for the environment, and fair treatment for workers. For two years, Viña Apaltagua has had a Strategic Sustainability Plan, which gives shape to all of the initiatives in place to reach our goals of sustainable development in our agricultural, industrial, and commercial operations. The structure of this plan is based on the guide developed by the Global Reporting Initiative for the elaboration of Sustainability Reports, which addresses the key aspects of each initiative. This will be an annual publication that will inform in a detailed, systematic and comparative format the information on each area of the company. – The specific work in the vineyards has a certification of norms established by the National Code of Sustainability of Wines of Chile. This certification will be extended during 2013 to the areas of Winery and Corporate Social Responsibility. – The agricultural production has certified its production processes with international G.A.P. standard. The certification is given by Primus Lab. – The winery obtained the certification of Ethical Norms for Suppliers, given only to those who comply with the standards dictated by the supermarket chain Walmart. 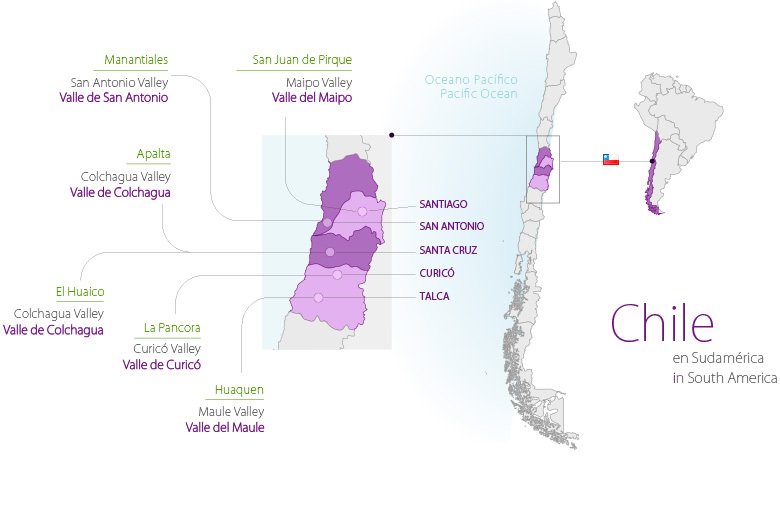 Certified sustainable vineyard In November 2012, Viña Apaltagua obtained the approval of Certification (green area) of Sustainable Winery “Certified Sustainable Wine of Chile”, issued by Wines of Chile through its technological consortia Tecnovid Vinnoca SA. For Apaltagua to achieve this sustainable certification of its field is a great step forward, given the permanent commitment to produce increasingly better, in a more efficient and environmentally-friendly way. Without doubt, to be sustainable today is an excellent way to stand out from other wineries; it is synonymous with caring for the environment, and being producers with higher standards of management and production. A short drive from Santiago, at the foot of the Andes Mountains is located San Juan de Pirque. This place is distinguished by the quality of its red wines, mainly of the Cabernet Sauvignon variety. Our neoclassical styled guest house, built in 1875, boasts interior and exterior stucco walls exclusively hand-painted by an Italian artist and a beautiful centennial park of native and European trees. This year began the plantation of vineyards with Cabernet Sauvignon and Syrah varieties. 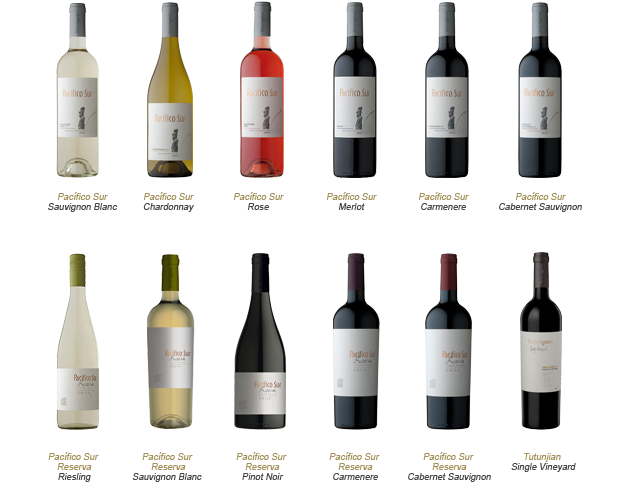 Apalta is situated in the center of the Colchagua Valley, a few kilometers from the town of Santa Cruz. The Apalta Valley is made up of 800 hectares of grapes and other crops. This valley is characterized by its excellent conditions for the development of wine grapes, which has been demonstrated by the great wines that are produced in the area. This has led to the Apalta Valley being known as the “valley blessed by the hand of God”. Our vineyards of ‘La Pancora’, are situated in the renowned Chilean winegrowing zone of the Curico Valley. The vineyards are located specifically in the smaller Trincao Valley area, a place which benefits from being surrounded by mountains and from the maritime influences of the Pacific Ocean 100 Km away. This combination of climates, maritime and mountain, creates a unique microclimate for the production of wine producing grapes of inimitable characteristics. The vineyards of Huaquen are situated between the Curico and Maule Valleys, in the region of Curepto. After visiting the country’s many different valleys, this spot was selected by our professionals for its climatic conditions, dominated by a marked difference in its day and night time temperatures and for its geography. The vineyards of Huaquen are characterized by their establishment on low ridges located at the foot of the coastal mountain range, which provides an excellent solar exposure ideal for the production of quality red grapes.